This well-written narrative, concise but packed with history, chronicles the struggle for African American civil rights. 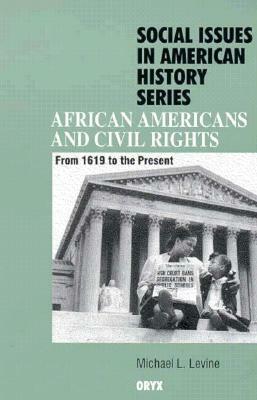 Beginning in 1619 when the first ship carrying Africans arrived in North America and continuing to the present, historian Michael L. Levine gives readers a balanced overview of how U.S. laws have prevented blacks from having the same civil rights as others. The text is accompanied by 65 detailed biographical sketches that describe the roles played by key individuals who worked to advance--or block--the civil rights of African Americans. Michael L. Levine, PhD, is a freelance editor for Charles Scribner's Reference Books, Macmillan, Inc., where he is editor for Encyclopedia of American Legislative History, Civilizations of the Ancient Near East, and Encyclopedia of Latin American History. Previously, he was writer, researcher, and press coordinator for the A. Philip Randolph Institute, the National Organization of Black Trade Union Activists. Before that, he was editor-in-chief for National Productivity, a quarterly journal presenting new concepts, practical proposals, and case studies pertaining to the improvement of organizational productivity. He has also been a freelance writer and editor for Travel and Leisure magazine and other publications.